Du, Z., Nie, Y., He, Y., Yu, G., Wang, H., Zhou, X., 2015. Complementarity of flux-and biometric-based data to constrain parameters in a terrestrial carbon model. Tellus 67, 24102, http://dx.doi.org/10.3402/tellusb.v67.24102. Li, Q., Xia, J., Shi, Z., Huang, K., Du, Z., & Lin, G., et al. (2016). Variation of parameters in a flux-based ecosystem model across 12 sites of terrestrial ecosystems in the conterminous USA. Ecological Modelling, 336, 57-69. Zhou, X., Zhou, L., Nie, Y., Fu, Y., Du, Z., & Shao, J., et al. (2016). Similar responses of soil carbon storage to drought and irrigation in terrestrial ecosystems but with contrasting mechanisms: a meta-analysis. Agriculture Ecosystems & Environment, 228, 70-81. 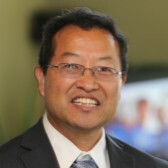 He, Y., Zhou, X., Jiang, L., Li, M., Du, Z., Zhou, G., Wallace, H. (2016). Effects of biochar application on soil greenhouse gas fluxes: a meta‐analysis. GCB Bioenergy. Du, Z., X. Zhou, J. Shao, G. Yu, H. Wang, D. Zhai, J. Xia and Y. Luo. Quantifying uncertainties of nitrogen module from data and model structure in a terrestrial ecosystem model. Journal of Advances in Modeling Earth Systems, under revised.